The FRA is looking for a small business contractor to assist with its internal communication strategy. WASHINGTON: The Federal Railroad Administration (FRA) is seeking support for its internal communications. The FRA issued a solicitation Tuesday for a small business contractor to help reach its workforce around the country. The initial one-year contract will begin March 12 and has the possibility to be extended through March 2021. The internal comms will need to reach FRA employees in the Washington, DC, headquarters and "mobile" workers elsewhere in the country. According to the statement of work, the FRA is looking for the contractor to increase awareness of FRA developments, initiatives, newsworthy rail-related events, new policies, and the mission among employees. The FRA also aims to "improve employee morale by increasing familiarity and understanding of the FRA and promote consistent performance through improved access to current information," the solicitation reads. FRA has not released a budget for this work and is asking interested agencies submit a price quote with their proposal. The deadline for proposals is February 28. The FRA sits within the Department of Transportation and is responsible for railroad development, safety, and regulation. 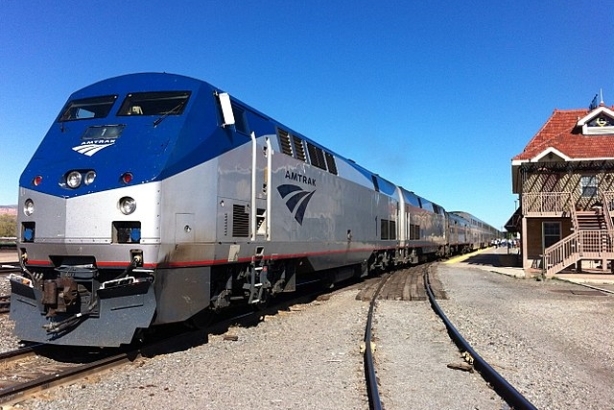 It provides grants to railroad companies like Amtrak and Alaska Railroad. The administration has some oversight over Amtrak, which has had several crashes since December. It provided more than $1.3 billion in grants to Amtrak in 2016. A representative from the FRA was not immediately available for comment.